Napa Valley is like Bourgogne in the way, that some of its greatest vineyards are owned by growers. Many know for instance Martha’s Vineyard, famed by Heitz Cellar, yet Beckstoffer is unquestionably Napa’s greatest grower, and he owns some of the most prestigious vineyards in the valley. 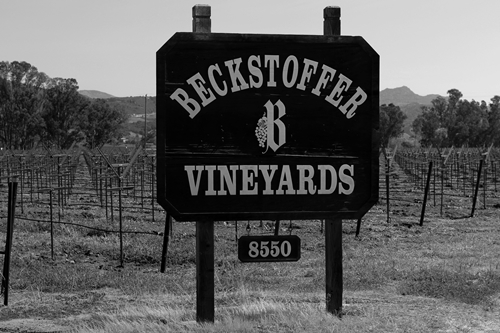 Andy Beckstoffer has since the Seventies acquired and developed unique sites, and the Beckstoffer brand is today as much associated with the wines, which his fruit go in, as the producers and winemakers who craft them. Here the offices and headquarters of Beckstoffer Vineyards, which are located next to their Georges III vineyard, on Conn Creek Road, just south of Caymus Vineyards. 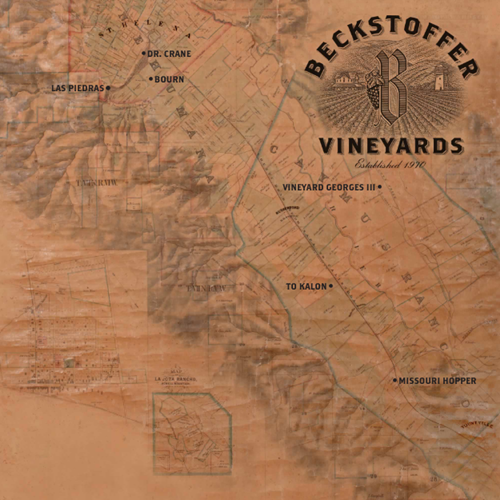 Map showing Beckstoffer’s 6 Heritage Vineyards in Napa Valley. 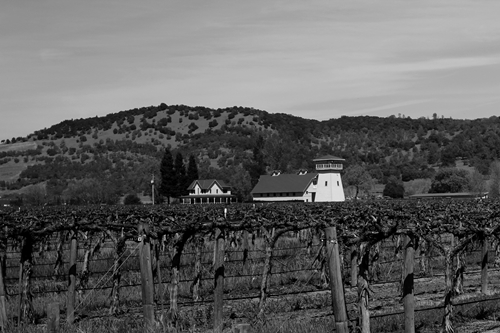 These vineyards produce some of Napa’s finest fruit and cleanest expressions of terroir. To Kalon is the most famous vineyard in Napa, and their 89 acres of it are truly unique. Their Dr Crane vineyard (named after the Doctor who planted the vineyard in 1858) has moreover shown to produce fruit of an equally hedonistic intensity, and the vineyard designated wines from their sites: Georges III, Missouri Hopper, Las Piedras and Bourn (the former Hayne Vineyard) are also really spectacular. 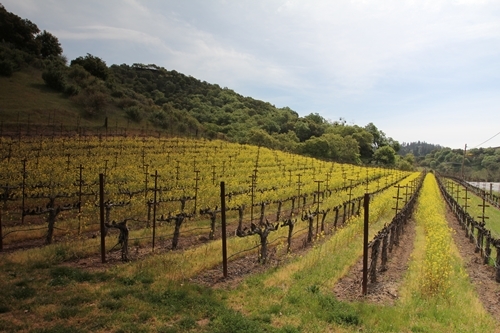 Beckstoffer’s vineyards are not only unique due to their terroir and history, they are also maintained without compromise, and the quality of their fruit is singular. Clients count some of the pickiest winemakers and teams in the world, including Paul Hobbs and Jonathan Maltus, as well as the teams at Schrader, Realm, Quintessa and many more. Andy Beckstoffer’s vision has since the early Nineties been to work with only talented winemakers that he believes in, and predominately small producers. This has led to the birth of exceptional wines and producers, which rank among the world’s greatest. Here one of the Cabernet vines in their Georges III Vineyard. Andy Beckstoffer has certainly proven that his fruit is extraordinary. Alone, the impressive track record of the wines it goes in, where multiple of these have managed to achieve the rare 100 point score by Robert Parker, is exceptional and unheard-of. Schrader Cellars has a mindblowing number of perfect scores with their 9 listings. In addition has the newcomer Realm Cellars just scored 100 points for their 2012 Cab blend from Beckstoffer’s Dr Crane vineyard. Paul Hobbs is also listed for his 2002 Cabernet from Beckstoffer’s To Kalon, and Carter Cellars for their 2002 Cabernet Beckstoffer To kalon. 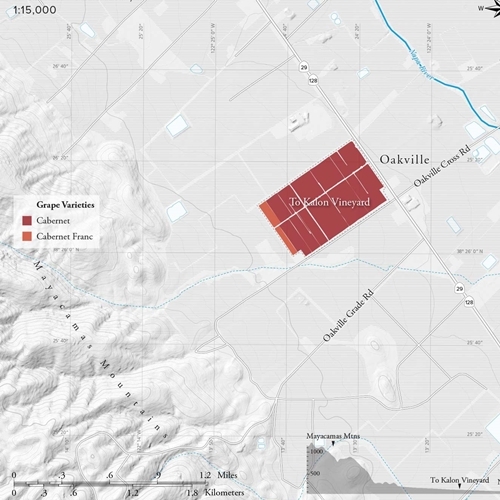 The To Kalon Vineyard is positioned on the eastern slopes of Oakville, and it is divided between Robert Mondavi & Opus One (250 acres), UC Davis (20 acres), and Beckstoffer (89 acres). It was originally established by H.W. Crabb in 1868, and it is also one of the historical sites in the valley. Andy Beckstoffer purchased his share of it from Beaulieu in 1993, which celebrated its magnificent fruit in the “Private Reserve”, first released of the 1936 vintage by their legendary winemaker André Tchelistcheff (1901-94). Realm Cellars are right now among the more progressive and exciting producers who currently source fruit from the To Kalon vineyard. They have an impeccable team and extraordinary visions. Here we have borrowed their illustration of Beckstoffer’s part of the To Kalon Vineyard. Beckstoffer’s vineyard is as the illustration shows divided between 6% Cabernet Franc (clone 1) and 94% Cabernet Sauvignon (48% clone 4, 35% clone 337, 11% clone 6, and 6% clone 7). The vineyard was replanted (1994-1997) after incidents of phylloxera, using modern trellising, superior clones and denser vine planting, with minimum spacing, on the exceptionally well-draining soil (approx 60% Bale loam and 40% Bale clay loam). The fruit of To Kalon goes in both blends, and single block/clone releases of the two varietals. Uniquely, does Schrader Cellars release five separate bottlings from Beckstoffer’s To Kalon vineyard. 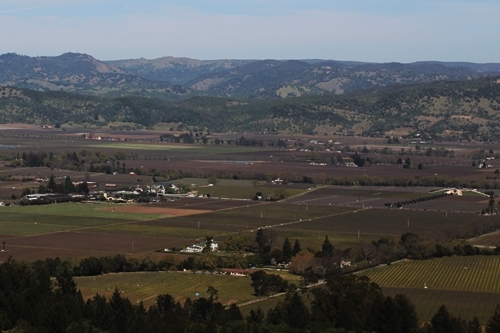 They are made as single-block wines (often of a single-clone), and their winemaker Thomas Brown seeks to highlight the unique qualities of the various Cabernet clones and blocks within the vineyard. Getting one’s hands on the most hyped wines from Beckstoffer’s To Kalon vineyard can be quite difficult. Their steep prices combined with closed mailing-lists make them a rare sight. If you want to explore the unique To Kalon fruit on its own, then I would recommend trying e.g. 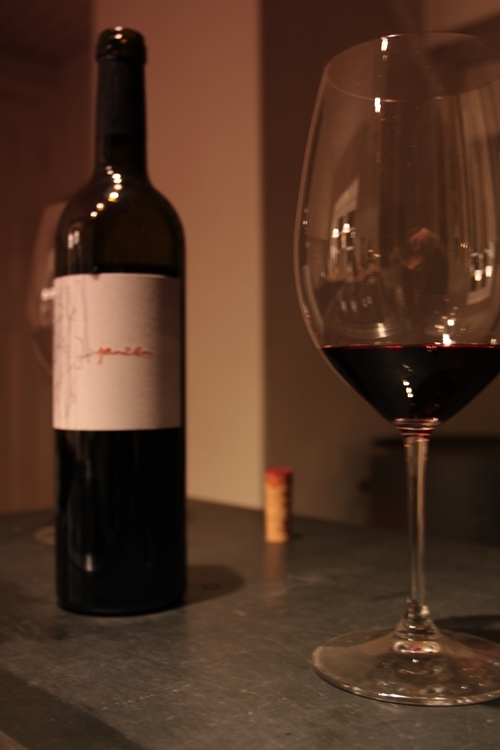 the Janzen To Kalon Cabernet and the “Good Times, Bad Times” by Jonathan Maltus. Claus Janzen started Bacio Divino Cellars in 1993, after working 12 years for Caymus. The vineyard designated icons named “Janzen” was added in 2004, and they now have two of Beckstoffer’s Heritage Vineyards represented: Missouri Hopper (since 2008) and To Kalon (since 2004). The Janzen wines are still slightly undervalued, despite the exceptional fruit and craftsmanship that goes into the wines. Kirk Venge has been their consulting winemaker for several years. Kirk is furthermore the winemaker at B Cellars, where he also works with Beckstoffer’s fine fruit, and the To Kalon Vineyard. 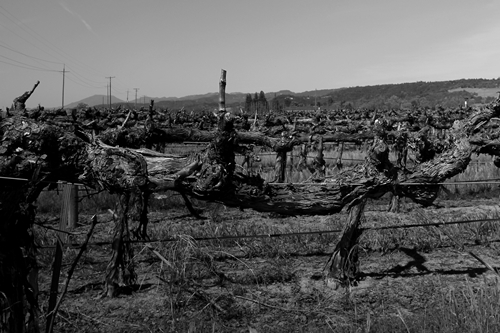 The Janzen Beckstoffer To Kalon Cabernet is a great example of the vineyard’s beauty. It is a 100% Cabernet Sauvignon made of just a single clone of Cabernet (clone 337), like the Schrader RBS. The 2009 vintage has been aged for 27 months in new French oak barrels, primarily Taransaud, from the Allier and Tronçais forests. Bottled without filtering, nor fining. It is one of the most hyped vineyards in the world – still… take a close look at the wine, here presented in a large Cabernet glass from Riedel. Its rich depth and the pure intensity of its dark colour-tones will stimulate your senses, even before swirling the wine, which will reveal its extreme density, and velvety tears. It is incredibly luscious, and luxuriously soft. The fruit has been harvested at a slightly higher brix (measured sugar concentration in the grapes), which gives the wine delicious and dangerously soft tannins, like the “Special Selection Cabernet” from Caymus Vineyards. Making it enjoyable even upon its release. Its nose develops heavily over just a few hours – revealing that it would reward the virtue of patience. It opened up with strong fleshy aromas of dark blackberries, pencil lead, and minty herbs. And after a couple of hours it changed towards a more flowery nose with hints of wet concrete and intense herbs. Its surprisingly powerful flavours are controlled and in perfect balance. It has a pure, clean, exquisite palate of dark currant, blueberries, crème de cassis, vanilla and rich buttered toast, which coats and intoxicates your senses, effortlessly. The name of the vineyard (To Kalon) describes the state-of-mind perfectly, as it translates from Greek to: “of the highest beauty”. This vineyard is added as a bonus, since it was believed to be owned by Beckstoffer (by the staff at Shafer), and it is, in my opinion, among the most beautiful sites in the valley. 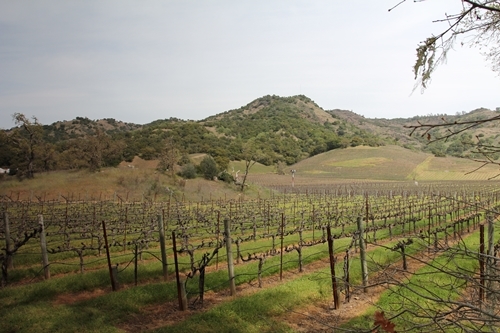 The stunning piece of land is positioned between the Silverado Trail and Shafer Vineyards in the Stag’s Leap District. 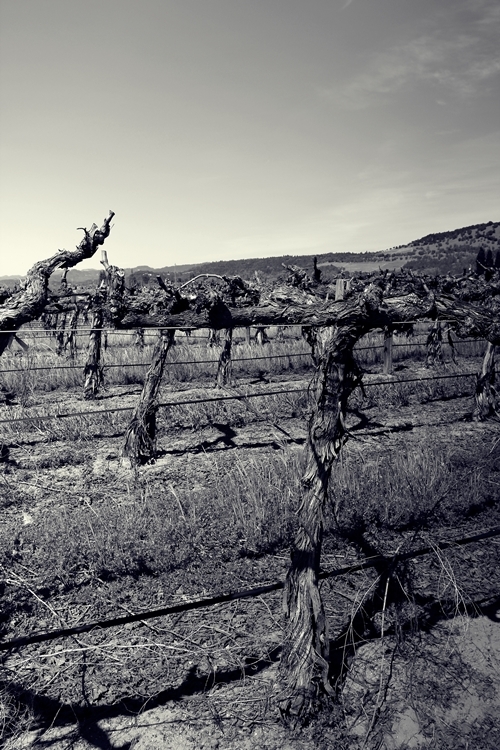 A little research revealed that the vineyard is owned by the family Schweizer, who have had the Cabernet vineyard in their possession since the early fifties. 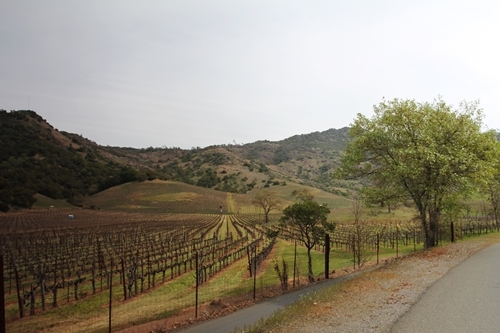 It is a vineyard many will have passed, when driving on the Silverado Trail, and taking the small road to Shafer Vineyards and Stags Leap Vineyards, yet few would have heard of the small grower called Schweizer. In fact, the 41 acres, might be the only acres owned by the Schweizer family in Napa Valley. They grow and sell on their sublime Cabernet to small ultra premium productions like the, no expenses spared, 2012 Mira “Schweizer” Cabernet (not yet released) and the 2010 HALL “Schweizer” Cabernet (sold at the Premiere Napa Valley Auction in 2012), as well as supplying a few of the wineries in the Stag’s Leap District. The Schweizer vineyard is definitely worth keeping an eye on.